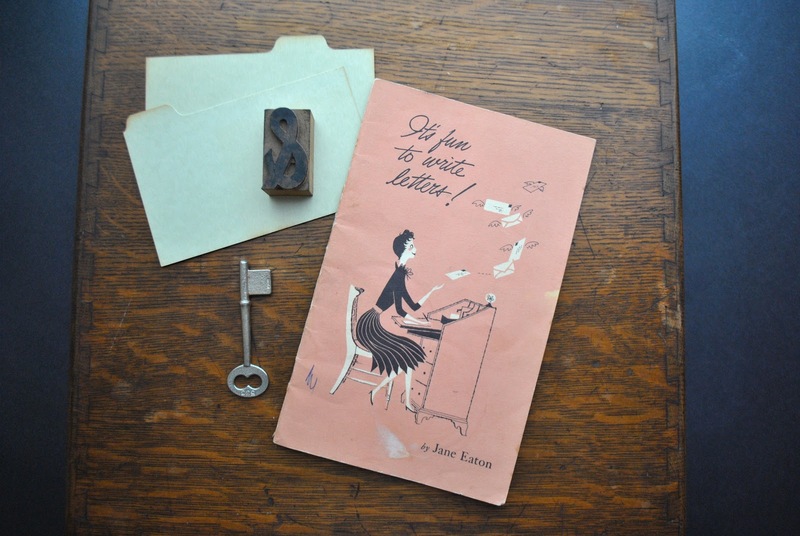 a thoughtful blog: family crafting and antiquing . . .
family crafting and antiquing . . .
My family was going to be visiting me in Maryland, but plans changed and I drove down to North Carolina last week to see them. And I had a blast (even with a 10-hour car trip both ways with 3 kids). I always enjoy time with my family, but this time was extra special--I think because we all did so many things together. My dad and I went to The Antique Tobacco Barn in Asheville on Monday. He and I were on the hunt for color inspiration for the wood pieces (mirrors, benches, etc.) that he builds and finishes and distresses. My dad and I love talking colors, so this was a really fun outing. 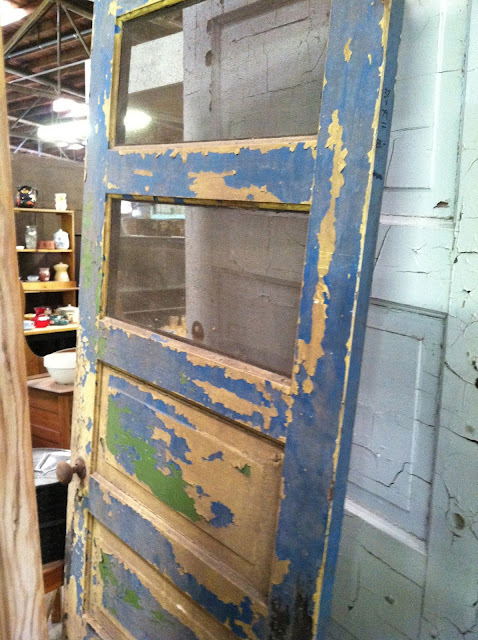 I took lots of cell phone pics of old doors and windows and benches, anything with a great aged finish or neat color. This door is a good example of one of my favorite color combinations. I also snapped some pictures of other fun things. I couldn't resist [taking a picture of] this child-sized roll top writing desk! The picture doesn't accurately convey its diminutive size. I would have loved one of these as a kid (I would love one as an adult!). After my dad and I had browsed for a little while, my brother Dillon and sister-in-law Laura Beth showed up. Because we were having a cookout that night, my dad and Dillon left early to pick up some things at the store and get the bonfire started. LB and I stayed a little longer at the antique store, and I am so glad we did. I ended up getting a few things in the end. I was so excited to find a 2-drawer wooden index card file (think library card catalogue but with 2 drawers). I have been brainstorming different uses for it, but for now it is going to sit on my desk and make me smile. It is really well made--solid wood with dovetail joinery. The drawers slide in and out very smoothly and have brass finger pulls. There were even several old peachy pink numbered dividers still inside, along with 2 green ones. There are two brass plates on the box, and I want to figure out what they mean. I am guessing the first is either the company who made the box or the company that used it. But I am not sure what P. B. 950 means. Guess I will have fun finding out! Anyone have any ideas? I also got a wooden type ampersand and a couple of old keys and pictures (not shown). And I can't thank my sister-in-law enough for finding me the little booklet below. She was holding it in her hand when we met up after browsing separately, and she showed it to me and said, "You don't have to buy this or anything, but I thought of you when I saw it," and I think I might have actually jumped up and down. Yes, it IS fun to write letters! I love it to death. You will definitely be seeing this little booklet again, as it is filled with some excellent retro (printed in 1954) letter writing advice that I would just love to share with you. I will have to write another follow-up tomorrow or Friday to tell you about the family crafting aspect of the week. Right now I have lots of unpacking to do! Hope you are having a lovely week! I have two little metal filing drawers of the same ilk as yours! I use my four drawers for address labels, random stickers that I use in mail art, gift tags of varying sizes, and blank 3.5 x 5 inch cards and envelopes (the only size that will will fit in the drawers) that I pre-make and keep there for when card-making inspiration strikes. The little number tag on the side of yours is just too cute, though. Love it. I love all the possible uses for the drawers! I was just thinking today that I needed to pre-make some stationery and little note papers of that size to have on hand. 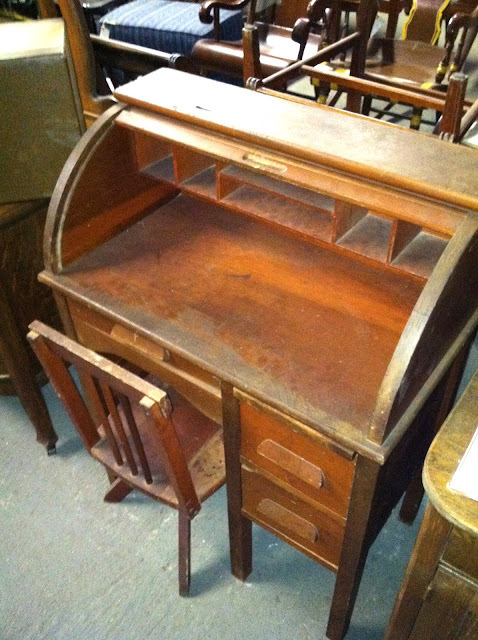 :) And your comment about using a little secretary or something similar got me thinking about campaign and field desks since they were meant to be portable. I love the idea of using something like that to display your stationery! Amber, have you thought about photography seriously? These shots are amazing. What a great point of view you have...talent just oozes out of you, friend. Behind on reading, but this was great! I love antique stores, but unfortunately Dad C does not share that passion. (lol) We have at least four of the metal drawers in the basement--from dad's insurance days. I need to figure a way to "spruce" them up to use them to store craft items--stamps, stamp pads, and other small items perhaps. They are just the drab brown (beige). But am thankful for the idea!!! !